In response to the overwhelming demand from Tamil speakers - both within Tamil Nadu (where Isha Foundation is based) and abroad, Isha Foundation has now launched an exclusive Tamil monthly magazine - Isha Kaattu Poo (Isha Forest Flower). The 52 page colour magazine features discourses, articles and poems by Sadhguru, which give in-depth insights into the spiritual and practical dimensions of life. Sadhguru's works, translated from English into Tamil by eminent writers and poets, are presented in a simple but interesting style. 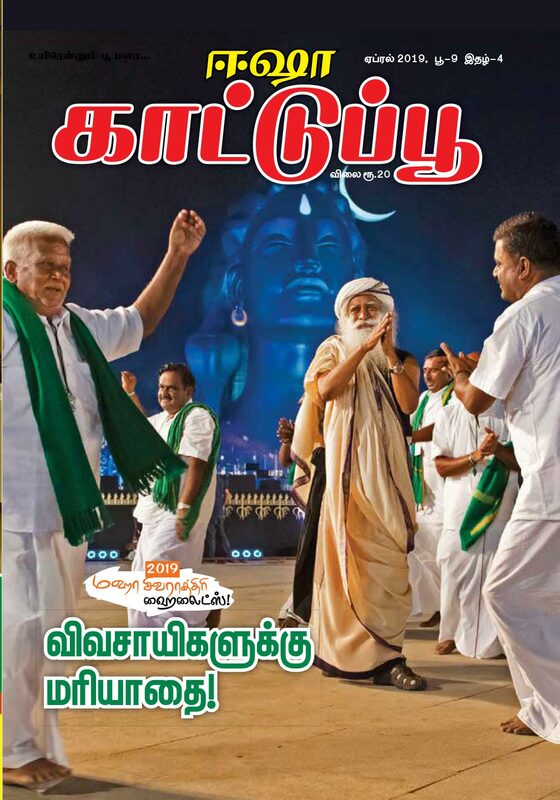 Launched on 23 September 2007 at the mega "Isha Gramotsavam 2007" festival, Isha Kaattu Poo is available in newspaper stands across Tamil Nadu, with a print run of over 80,000 copies. Also available as an e-book, Isha Kaattu Poo is accessible by anyone across the world through the internet.